We are happy to share with you the 16th issue of “Struggles and Victories: Waste Pickers on the Frontline”. In this issue, we have news from more 9 countries around the world! There is good news for waste pickers in India. The marginalized group of workers has now been officially acknowledged in the Solid Waste Management Rules 2015, released by the government’s Ministry of Environment and Forests. The Ministry has also provided a definition of “waste picker”. Rajiben Parmar says that she and her other waste picker sisters would benefit the most if the government also made rules to give them priority in waste collection. Currently, most of the waste disposal work is awarded by civic bodies on a contract basis to big contractors. Jassi Rathod, 65, says that after big contractors were given the job of waste collection, many waste pickers found themselves deprived of segregating waste at source and earning a few extra rupees that would go a long way towards feeding themselves and their families, and supporting their children’s education. Manali Shah, SEWA (Self Employed Wimen Association) vice president and head of the urban union, said that the most significant aspect of the rules is that they direct authorities to establish a system to recognize waste picker organizations and integrate unauthorized waste pickers into solid waste management, including door-to-door collection. On June 30th, in the presence of Shree Kunal Kumar, Municipal Commissioner, PMC, Shree Suresh Jagtap, Joint Commissioner, PMC, Shree Chandere, councilor Baner prabhag, and veteran labour leader, Dr. Baba Adhav, the Materials Recovery Center at Kapil Malhar, Baner was inaugurated. 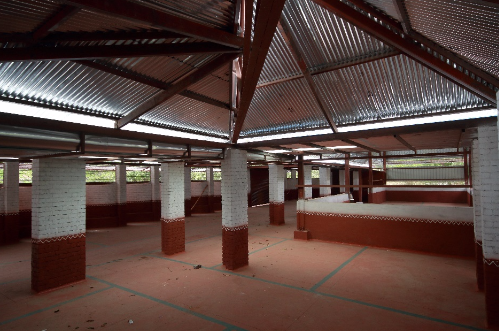 This shed has been designed after many stakeholder consultations with citizens in the area and waste picker members of SWaCH. The commissioner observed “this shed is well ventilated and has plenty of light. 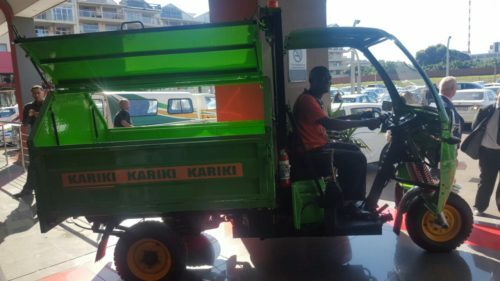 It uses simple and easy-to-maintain materials.” The shed also makes provision for small trucks owned by waste pickers to drop off the waste in designated areas, and a rolling shutter, allowing for dealers to pick up recyclables. The innovative design has a pyramidal roof and ventilation, and light penetrates from the ceiling and the sides. The shed has bathrooms for the waste pickers. “I will ensure that this shed gets water supply and electricity, maybe even solar lights” said Shree Chandere. Baba Adhav pointed out the need to upgrade the lives of the waste pickers and ensure that their health and safety is prioritized. Asha Kamble, a waste picker member, said, “we have got this shed, but we need to ensure that every waste picker in Pune gets access to similar sheds so we can do our job and keep the citizens happy.” Materials recovery centers are mandated by the city, state and federal laws. It is a safe and secure place for waste pickers to work, without fear of eviction or loss of materials due to rain or theft. UN Habitat in partnership with SWaCH has been involved in enabling public spaces to be used for essential services like waste management. 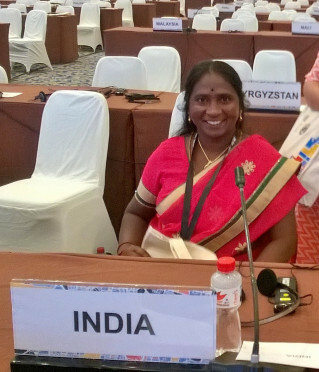 Indira, a waste picker from Bangalore, made a passionate plea to world governments for recognizing the contributions of waste pickers during an event organized on the sidelines of United Nations (UN) Habitat III Prepcom at Surabaya, Indonesia. She asked that governments recognize waste pickers in the New Urban Agenda, the outcome document set to emerge at the Habitat III cities conference in October 2016. She emphasized on the fact that waste pickers keep the city clean and save municipal corporations and local governments a lot of money. According to her, if an area generates 2 tons of waste, waste pickers take at least a ton of waste from the same. They sort and sell it to the industry as raw material. This reduces the generated waste, helps waste pickers earn for themselves and benefits the public at large. She showed the occupational identity card of waste pickers issued by the Greater Bangalore Municipal Corporation to the audience — an example of recognition. With the ID card, waste pickers can collect recyclables without police harassment, among other benefits. She also shared that the city’s municipal corporation has installed Dry Waste Collection Centers, and waste pickers are operating many of these centers. They also get regular income by working as sorters in these centers. Indira is a part of a Women in Informal Employment Globalizing & Organizing (WIEGO) delegation participating in UN Habitat III Prepcom, held at Surabaya, Indonesia. She is Hasiru Dala, Bangalore’s 7,500 strong waste pickers’ organization. World governments are meeting in Surabaya as a part of Habitat III Prepcom to discuss the New Urban Agenda which will be finalized and adopted in Quito, Ecuador, late this year. Read the complete article. Home to less than a million people, the Himalayan country of Bhutan has one of the world’s fastest growing economies, spurring dramatic increases in waste production. Most Bhutanese live in villages, where waste — including recyclables — is burned or dumped in pits or off cliffs. A country of high hills, remote villages, and rough roads, transportation of materials is time-consuming and costly. Pushcarts are understandably outlawed on the country’s narrow, winding roads, restricting the informal waste trade to towns along Bhutan’s Southern border with India or the few urban hubs large enough to support scrap dealers. In some cases, itinerant waste buyers will travel the countryside buying materials to sell in India. Generally, though, it’s challenging to make economic sense of transporting recyclables hours or days, usually in a rented vehicle, to the Indian border. Collecting sufficient materials is a challenge, so Tshering Dorji has developed relationships with schools and nearby villages, which sell him their recyclables at about half the rate of resale. He also buys bottles from the village’s only homeless man, who survives as an informal waste picker thanks to Tshering’s scrap business. Tshering purchases bottles at about 7 ngultrum (about 10 cents USD) per kg, then resells them at the border town of Phuentsholing, a 1-2 day drive from Trashiyangtse, depending on road conditions. Road blocks are common and, once he makes it to the SE border with India, strikes in India’s NE state of Assam can block the road for days. But the primary problem with transportation is cost. Access the complete article (in English). This article is part of the series Scenes from the Heart of Recycling. We, the cartoneros and carreros families who work everyday in the city of La Plata went once again onto the streets to demand recognition for our work. The municipality, the police and the protectionists don’t want to see that behind the horse and cart they want to eradicate, there is a family making a living from recycling. The privatization of the waste collection service takes away from us the recyclables we find in the streets. Currently, our situation is critical. The adjustment hitting on everybody is pushing us to the limit, having to sell the kilogram of cardboard for $1. If that wasn’t enough, the company is taking all the materials and they harass us and prevent us from earning a living. In the presence of these threats we organized into the Argentine Federation of Waste Pickers (FACyR, for its Spanish acronym). Read the full article and watch the video (in Spanish). Brazilian waste pickers affiliated with the National Movement of Waste Pickers in Brazil participated in the torch relay in this year’s Olympics. Waste picker leaders Custódio Chaves, of Rio, Roseleide Nascimento, of Rio Grande do Norte, Roberto Laureano, of São Paulo, and Jeane dos Santos, of Bahia, participated in the ceremony. 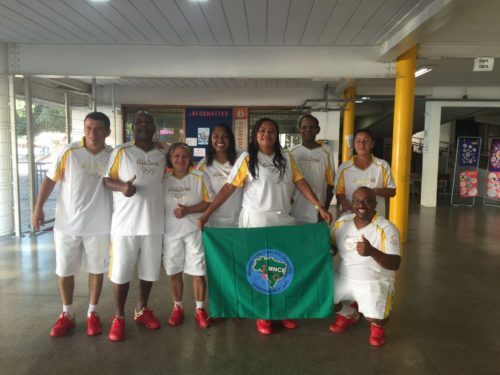 Other waste picker leaders – Maria do Carmo Cantilho, Claudete da Costa, and Severino Lima – participated in the torch relay in their own states. The participation of waste pickers in the torch relay represents the recognition of the importance of these workers in our society. Besides taking part in this ceremony, the waste pickers were also providing recycling services in the stadiums and Olympic installations in the cities of São Paulo, Belo Horizonte, Brasília, Salvador, and Manaus. The goal is to strengthen public policies and institutionalize a legacy of sustainability in Brazil. What are the possibilities when it comes to transforming waste? How can a city respond to the dreams of social belonging of those who make a living from the leftovers of our voracious consumerism? These were some of the questions that fueled the struggle around waste and citizenship that led to the founding of the national Waste and Citizenship movement, 15 years ago. 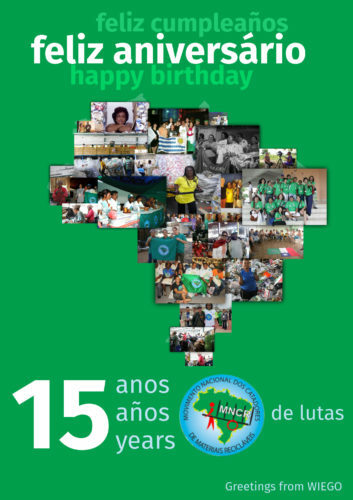 The First National Conference of Waste Pickers and the First March of Street Populations in June of 2001 in Brasilia marked the birth of the National Movement of Waste Pickers in Brazil. The organizing efforts of the waste pickers towards a larger movement was built upon the creation of the first waste pickers organizations in the south and southeast of Brazil in the late 1980s, such as Coopamara, Asmare, and FARRGS, in the late 1980s – a few of which were the result of social and educational projects by the Auxílio Fraterno and Pastoral da Rua organizations. Since its birth, the national movement has advocated for solidarity and had a strong connection to social movements representing street populations. The cruel face of the economic crisis can be best observed in the daily life of waste pickers. In the past four months, there has been a huge drop in the volume of recyclable materials that arrive in the hands of these workers. The crisis is blamed as the main cause of this scarcity, but waste workers contracted by the government still take the majority of recyclable materials to be buried in landfills. “This never happened before. Three o’clock rolls around and there is no more material to work with. We have to go home early. It’s alarming because we know that if we can’t process these recyclables, there will be no income at the end of the month,” said Pedro of the cooperative Cooperativa União, in São Paulo. 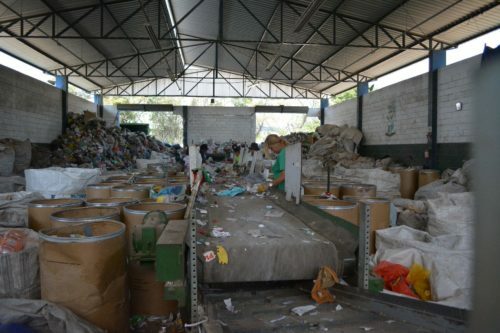 Waste picker cooperatives such as Cooperativa União have experienced the sad situation of having to lay off cooperative members due to the lack of recyclable materials. At other cooperatives and associations, members have left their work, despite the current unemployment crisis. “When we don’t have materials to work with, our income drops and some workers are not able to survive and they stop working,” said a waste picker who did not want to be identified. This situation is not only happening in São Paulo but all over Brazil. In Porto Alegre, Rio Grande do Sul, twenty waste picker associations are experiencing the same problem. 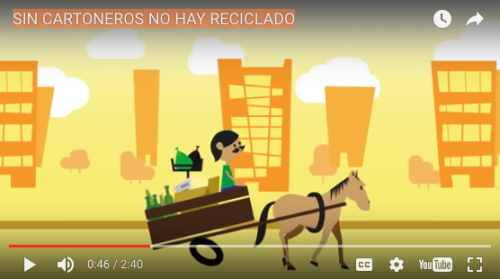 On July 15th 2016, Mexico City’s Human Rights Commission (CDHDF) issued the Recommendation 7/2016, “Omissions in Mexico City’s urban solid waste collection, separation and final disposal, and in the creation of decent work conditions for those who undertake these activities.” It recognizes that the right of informal waste pickers to decent work is being violated, and it is the first official document to place on record the discrimination, exploitation and abuse they suffer. Overall, Recommendation 7/2016 constitutes an innovative pronouncement when it talks about the shortcomings of the city’s waste management public service in general, and their impact in the right to a safe environment and quality of life for the people that live or move through Mexico City. It also recognizes the work informal workers do as necessary to ensure their rights. The Commission declares that “The government of Mexico City is neglecting its obligation to respect, protect and guarantee decent work for volunteer workers and informal waste pickers who are part of the free labour force that is essential to the proper operation of the municipal sanitation service in Mexico City.” Read the complete article. In March 2016, AVINA and Red Nacional de Recicladores de Ecuador (RENAREC) invited WIEGO to visit Quito, Ecuador in order to get a better understanding of the waste sector dynamics in the country. Ana Carolina Ogando and Olga Abizaid represented WIEGO in a series of events marking International Waste Pickers Day, including a session at the Legislative Assembly celebrating International Women’s Day, a public meeting to renew the inter-ministerial agreement with RENAREC and RENAREC’s National Assembly. The objective of their visit was to get a better understanding of the challenges waste pickers face in terms of local and national dynamics, as well as the advances they have made. More specifically, they were interested in conducting interviews with women and men waste pickers from different regions in Ecuador to learn about the organizing process in RENAREC, the policies that are needed to strengthen inclusive recycling and any specific difficulties women waste pickers face in the recycling context. WIEGO also had the opportunity to share some of the work it has done in terms of supporting informal workers, including waste pickers, and in conducting workshops on gender equality in Brazil (for more on the Gender and Waste project in Brazil, see here). In June of 2016, the fifth Wastekhoro was convened in Durban to strategise dealing with waste management issues in South Africa. High-ranking officials of the municipality were part of the conference, as was the Minister of the Department of Environmental Affairs. Usually, this is a meeting for government officials and has been convening for the past four years. This was the first time it was open to the public and as a result more than 750 people attended and all nine provinces of South Africa were represented. It is good that government recognizes that waste pickers are also vulnerable workers who have undertaken an often thankless task under very harsh conditions to provide food for their families. The department is working at bringing the country’s more than 62,000 registered waste pickers into the formal waste economy in consultation with all the stakeholders, including waste pickers themselves. 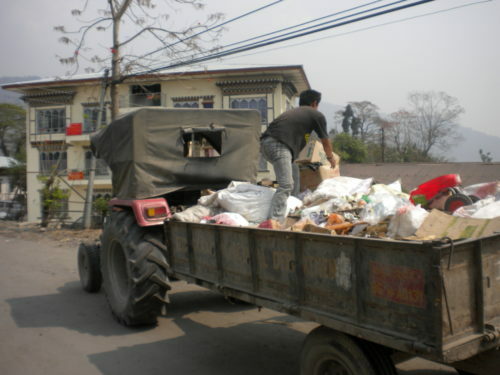 The highly populated and urban provinces have the highest number of waste pickers. Having listened carefully to the speech made by the Minister, it is clear that waste pickers are now recognized in South Africa. However, it is not enough because this is pronounced only at a national department level: all the policies, regulations and recommendations have to be filtered down to local municipalities. The Minister’s speech poses a challenge to the Minister of Local Government and Traditional Affairs, mayors and officials of municipalities to recognise and integrate waste pickers more meaningfully. 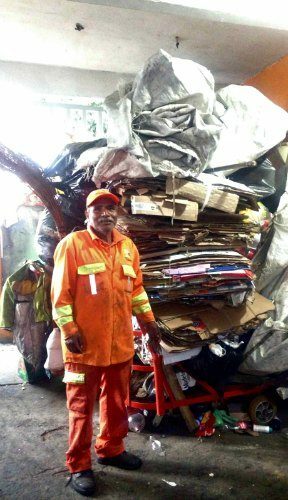 On the eve of 31 May 2016, renowned Durban informal recycler, Afrika Ntuli, shockingly passed away after being knocked by a motor vehicle at a pedestrian crossing near his place of work in the Central Business District (CBD) precinct. The news of the accident was conveyed by the police to fellow informal recycler, Maria Vilakazi, who was on his contact list on his recovered cell phone from the site of the accident – and since then, the news of the tragic event has spread and devastated all those that knew and loved the legendary informal recycler of the last 29 years. 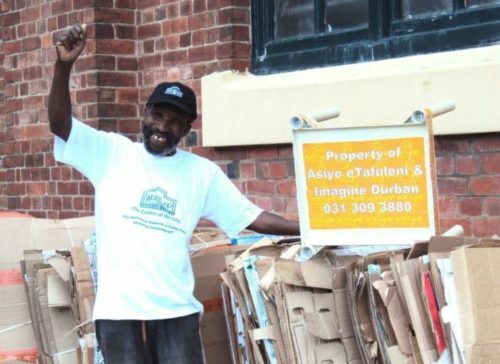 Asiye eTafuleni (AeT) came to know of Afrika Ntuli since 2010, when it was commissioned by the Imagine Durban Project to implement its Cardboard Recycling Project. This Project sought to test interventions that would enhance the livelihoods of the prejudiced and marginalised activity of informal recycling in Durban’s inner-city and CBD. Afrika and a group of up to 15 men and women cardboard recyclers were located around the landmark International Convention Centre (ICC) and Workshop Shopping Centre precinct making a living by collecting and selling cardboard recyclables generated by the industrial, retail and office activities there. Afrika emerged as a well-respected, liked and established informal recycler amongst his fellow recyclers and by the surrounding businesses – and was naturally elected as the lead representative of the informal recyclers in the area. As a result of his influential status, he was seen as a key figure in helping the South African Waste Pickers’ Association (SAWPA) organise informal recyclers in Durban. He was also a key feature at eThekwini Municipality’s annual Sustainable Living Exhibition from 2010 onwards as he educated and entertained visitors to the exhibition – by colourfully regaling his personal and the collective story of informal recycling in Durban. Read the complete article. Eugene Gadsden has been a canner for nearly 30 years. Eugene wanted to earn his own living instead of depending on the soup kitchen. Thus, together with Sister Ana Martinez de Luco he helped found Sure We Can, a non-profit redemption center in Brooklyn, New York. The canners who belong to the organization collect the containers and redeem cans and bottles for 5 cents each. For Eugene Gadsden, canning is an honest way of living”. Canning has become a source of livelihood for many workers. As Eugene notes, “it’s job like any other”, with its own set of responsibilities and demands. 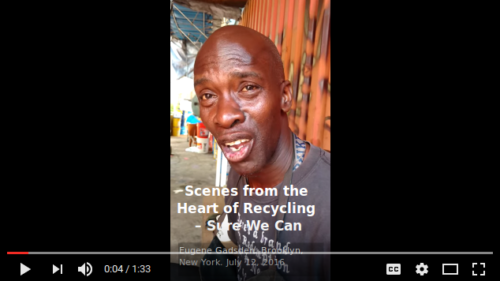 This interview (video available) is part of a scoping exercise in NYC carried out on July 12th, 2016, by WIEGO´s waste specialist Sonia Dias, as part of the series Scenes from the Heart of Recycling. You have likely seen them in the places where you live, work and shop, and heard the clanging of their shopping carts as they pass by. Their toil draws reactions that range from kindness and compassion to judgment and scorn. It is estimated that every day more than 1,000 bottle pickers venture into neighbourhoods across Calgary to carry out their work. Have you ever considered them as entrepreneurs? Creative, highly networked people with a strong work ethic who make their own schedule and give back to the community by building cleaner, safer streets and green spaces? For Kate Letizia and her volunteer team at Calgary Can, the vision to reframe how Calgarians view bottle pickers began with a desire to bring dignity and legitimacy to the economic and environmental contributions made by the local bottle picking community. 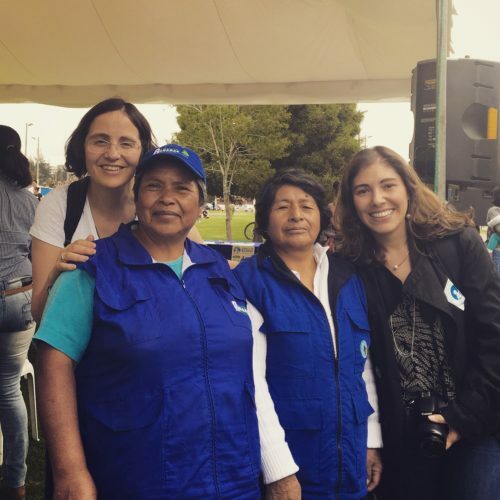 Kate had previously taken part in similar transformative work with a group of informal recyclers in Peru and became inspired to bring greater recognition to the livelihood of Calgary’s bottle pickers. “It’s about the community accepting unconventional forms of employment and different ways of bringing meaning to your life,” explains Kate.